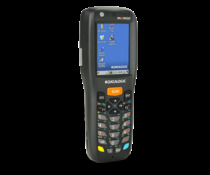 Datalagic QuickScan QBT2131 Bluetooth wireless barcode scanner for retail and office environment. Reads all standard 1D barcodes from paper, labels, cards, tablets and mobile phones and provides an audible and visual alarm at the good barcode reading. 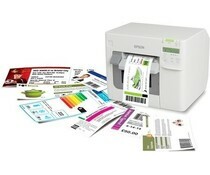 The QuickScan QBT2131 projected a 'Green Spot', a large green dot on the newly scanned barcode when it is scanned properly. 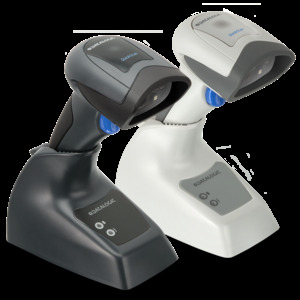 Especially for tablets and smartphones, there is also a QBT2101 Bluetooth kit, consisting of a loose QBT2101 barcode scanner and a micro-USB cable. The loose QBT2101 Bluetooth scanner can be directly linked with a tablet or smartphone and can be easily recharged with a standard USB charger and the included micro-USB cable. The default base station is thereby unnecessary. This makes these QBT2101 Bluetooth scanner is the ideal companion for your Apple, Android or Windows tablet or smartphone.